Dr. Solon is a board certified Child and Adolescent Psychiatrist who worked at Children’s Hospital of Philadelphia for 14 years in many different capacities. She spent most of her time in the outpatient faculty practice, wherein she assumed clinical and leadership role as Interim Medical Director. She provided clinical supervision for the Child and Adolescent Psychiatry fellows, as well as teaching and supervising medical students and rotating residents from the Adult Psychiatry program at the University of Pennsylvania. 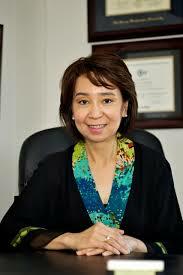 She also provided supervision of the Psychiatric Nurse Practitioner and consultation to other Medical Specialties. She collaborated with the Regional Autism Center at the Children’s Hospital of Philadelphia. She attended her undergraduate and medical school at University of Santo Tomas, Faculty of Medicine and Surgery in the Philippines. She completed her General Psychiatry Residency training at Albert Einstein Medical Center, Philadelphia and her Child and Adolescent Psychiatry Fellowship training at Children’s Hospital of Philadelphia. Dr. Solon is an experienced clinician and diagnostician in General Psychiatry with a specialized interest in the diagnosis and treatment of patients with Autistic Spectrum Disorder and Tourette’s Disorder. She provides psychiatric evaluation and second opinion on complex cases, medication management services and is experienced in Cognitive Behavioral Therapy. She strongly believes that success in treatment is based on team effort by collaborating with families, clinicians, teachers, schools, and emotional/behavioral community services. She works exceptionally well with all disciplines. She is delighted to bring her wealth of knowledge and experience close to home.